The much anticipated announcement is here. 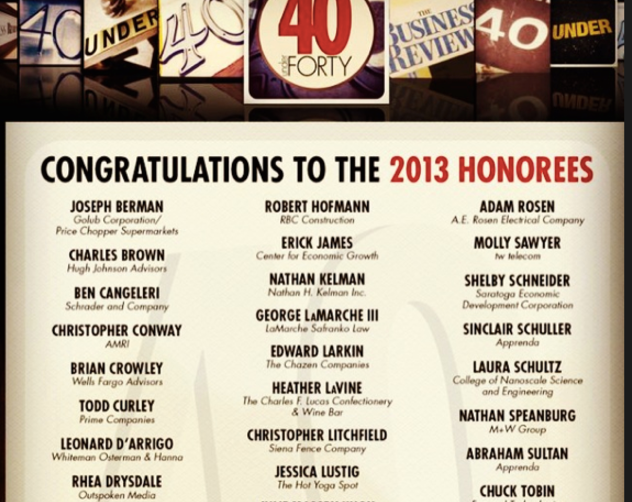 The Business Review is proud to introduce this year’s 40 Under Forty. The class of 2013 is the latest group of young, ambitious professionals to be honored in a Capital Region tradition that dates back 14 years. A Business Review advisory board picked the latest 40 from more than 500 nominations.